Datalumen - Data Quality Management. Delivery trustworthy data. Where do you want to start your Data Quality journey? Regardless of whether your data is structured or unstructured or your data is on-premises or in the cloud, it needs to be trusted. Deliver business value by ensuring that all key initiatives and processes are fueled with relevant, timely and trustworthy data. Organizations face immense pressure when it comes to regulations around the world, especially as new ones emerge such as GDPR. Businesses must select solutions that address their data quality issues holistically and on a consistent basis. With our Data Quality and Governance portfolio, you can increase business value by ensuring that all key initiatives and processes are fueled with relevant, timely, and trustworthy data. have at least one critical error. Which Data Quality originated issues can we prevent? NEED HELP WITH CREATING A BUSINESS CASE FOR DATA QUALITY? Click here to get our insights and gain the confidence of your organisation in data quality. This TDWI report provides seven key tasks to bolster the level of trust in information including clearly articulating the business value proposition, engaging business data consumers, standardizing best practices and automating their implementation. The data quality tools market continues to innovate, fueled by desire for cost reductions, information governance and digital business. This Magic Quadrant evaluates 16 vendors to help you find the most suitable one for your organization's needs and deliver greater business value. Your processes for data quality rules and exceptions. Your data quality metrics and monitoring practices. This online quick check asks 10 questions and provides responses based on your selection. You get immediate guidance and specific recommendations on what to do next. The Data Quality Audit engagement enables you to begin to develop a baseline assessment of the current level of data quality in your enterprise environment. Over the course of the engagement, you’ll learn to analyze and enhance the quality of your data as it pertains to your specific projects and goals, and collaborate on a concrete set of steps for further improvement. In addition to achieving these short term objectives, the Datalumen Consultant will assist in developing metrics to be utilized when developing an ongoing data quality strategy. 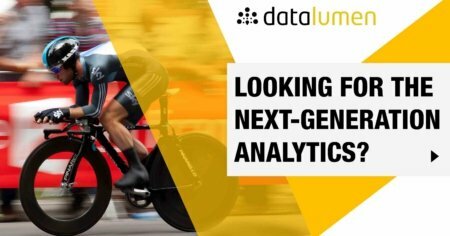 If you already utilize a data quality solution, the Datalumen consultant can assist in performing an audit of your current strategy through leveraging Datalumen’s methodology and best practices for data quality in an enterprise environment. Environmental analysis - Discover the readiness of your data for diverse projects through initial scorecards, providing essential knowledge of how to improve the quality levels of your key data attributes. Increase your project planning ability and sharpen your projections of the resources and time-frames required to complete a data quality project. Develop a risk mitigation strategy by gaining visibility of hidden data quality issues. Engage with business owners with early results, creating wider awareness and buy-in for your data quality strategy. Get started and contact us for more details about our Data Quality Audit.